May | 2015 | Om nom nom! 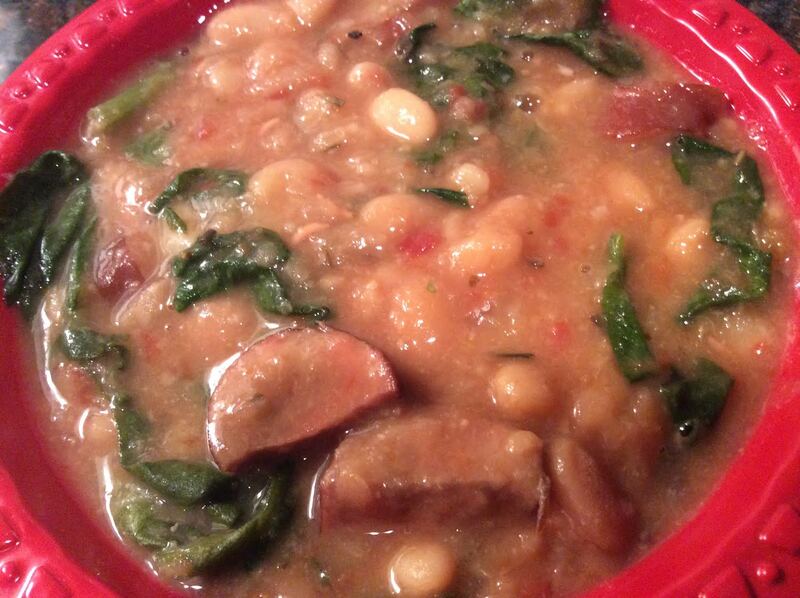 Busy week, so lots of slow cooker meals! 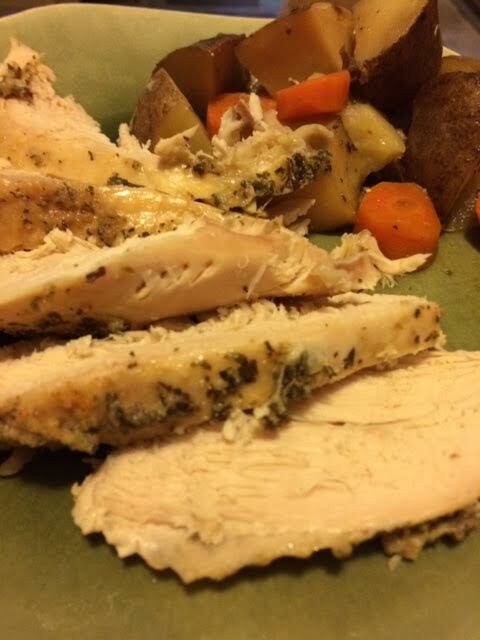 I’ve been semi-skeptical of a turkey breast in the crock pot, but it actually came out quite well! If you’re looking for nice, crispy, Thanksgiving skin, this is obviously not the right way to go – but the meat was very flavorful and it was a great weeknight meal with tons of leftovers. Definitely one way to avoid dried turkey breast! We’ll use it again for sure. I used a mixture of ideas around the interwebs, and threw this together with some carrots, onions, and potatoes. This has possibly become one of my new favorite things. 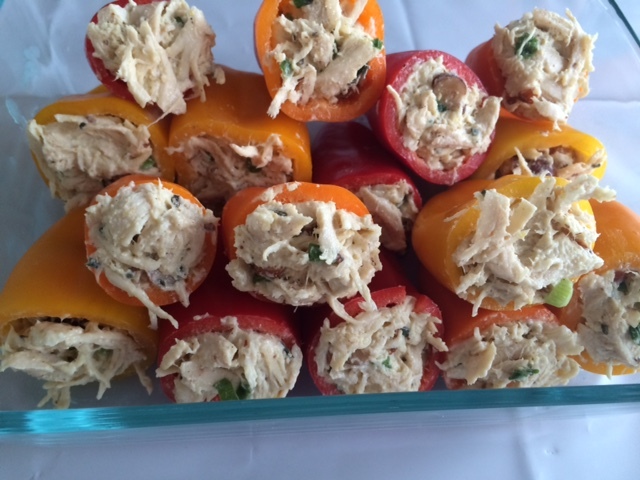 Inspired by a cute picture of chicken salad stuffed mini peppers, I went looking for a good recipe for our Kentucky Derby party a few weeks ago. I’ve never actually made it, or gravitated towards it. But this was outstanding, and we’ve now had it both in the mini peppers and as lettuce wraps for lunch. Easy to keep on the light side, we’ll make this again and again. This is from Cooking Light. 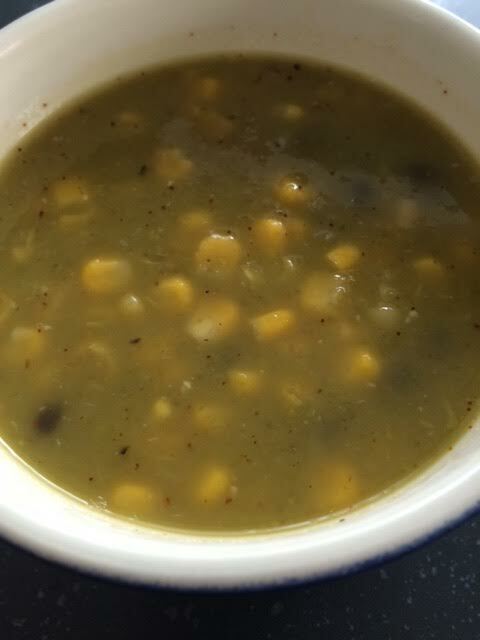 This was a great, quick soup for lunch with a lot of flavor. Recipe came from Cooking Light – it was supposed to be a way to use up leftover stuffed peppers, but I just broiled the peppers on their own. The recipe called for red peppers, but I used green and it was great. You could definitely add anything you like to this – ground turkey or beef, shredded chicken, etc. We’ll make it again.